Inlaid Multi-Color Pendant! 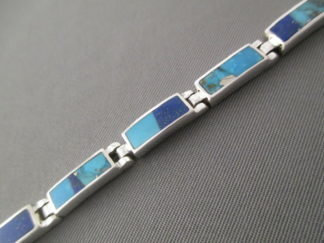 This VERY attractive sterling silver inlay pendant features inlaid Turquoise, Lapis, Sugilite, Spiny Oyster, and Gaspeite stones. 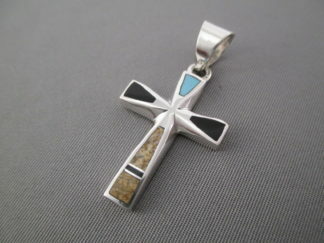 Made by Navajo jewelry artist, Tim Charlie. This ‘open drop’ shape with colorful inlay is VERY visually appealing!